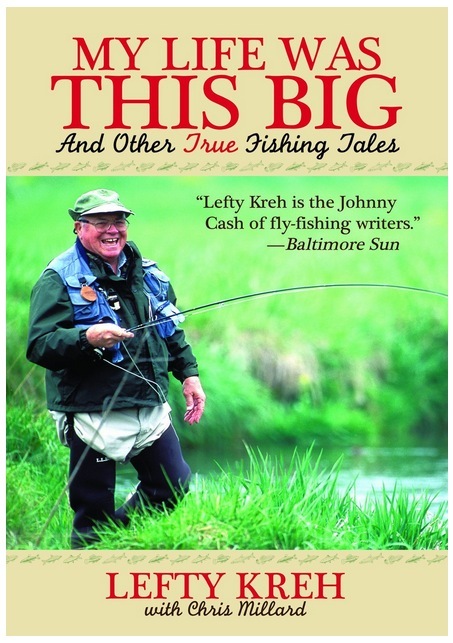 This is an enjoyable auto biography by Lefty Kreh – arguably the current dean of fly fishing. It has long been my opinion that the Greatest Generation has made a unique and permanent impact on world history and Lefty Kreh remains today among the few fly fishing authors from this generation that are still alive and active in the sport (Stu Apt comes to mind too). So many of them, like AJ McLane, Charles Waterman, Jack Sampson, Ted Williams and others – men whose lives were steeled in the cauldron of World War II - have since passed on. Lefty, amazingly, is still going strong. When I watched this octogenarian teaching his casting seminar recently at the Fly Fishing Show I remain amazed. To say someone is a national treasure, or living legend, has become trite…….but if there’s a person in the fly fishing realm today who can live up to this description, it’s Lefty Kreh: the great fly fisherman who never seems to age. I’ve certainly never fished with, or really even spoke to, Lefty but having had the great privilege of having many friends from his generation (something I appreciate a lot more now than I did when I was younger and these friends were still alive) I recognize the humor and humility that so many of them seem to have when I watch Lefty at shows. 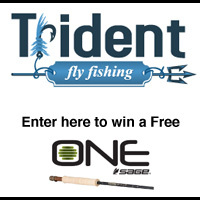 If you’ve never watched Lefty at a fly fishing show, don’t miss the next opportunity. He’s a hoot. If only I could have learned more from my WWII veteran friends when they were still around….. So watch Lefty if you can – time is running short. This book follows the basic autobiography format with the Lefty’s recollections of his life and involvement in the sport. Lefty was born in the mid 1920s in Frederick Maryland and grew up the hardscrabble life so typical of dirt poor kids in the Great Depression. His stories of childhood and the challenges of the day are the stuff that made Baby Boomers roll their eyes a generation ago: food shortages, ragged clothes, walking miles to school in the snow. Nevertheless Lefty had a happy childhood growing up in a mixed race neighborhood and lived a life of adventure catching catfish for money on his home stream, the Monocacy River. He also developed his lifelong affinity for improvisation during these years. Naturally, I was particularly interested in Lefty’s chapter on the war. Drafted like so many of his generation, Lefty hated the Army. It just rubbed him wrong with so many of the petty trivialities and rigidness that anyone who has attended basic training can relate to. He served in Europe as an artillery forward observer in the 69th Division, a dangerous but critical job and suffered in the cold and terror of the Battle of the Bulge. Lefty still has some residual effects of frostbite. Always focused on the next good thing coming down the pike, Lefty noted that he didn’t really think much about the conflict for many years afterwards. His career as an outdoor writer started after the war, like most writers of the time, with local newspaper gigs and grew into national writing for the well known magazines of the day. Much of Lefty’s early career is dominated by his time in south Florida managing fishing tournaments and improvising fly fishing technique. He fished with Ted Williams, Earnest Hemingway, Joe Brooks, and even Fidel Castro and virtually everyone who was part of the dynamic south Florida fishing scene in the 1960s. Interestingly, when he screwed up the courage to ask Hemingway the secret to good writing, Papa answered, “It can’t be edited” – a comment Lefty found fascinating. He also tells the story of the Lefty’s Deceiver, quite possibly the best known salt water fly pattern of all time. Lefty, like many of us, just loves smallmouth bass but, like many of his generation, tends to feel that fishing today is nowhere near as good as it once was. He describes the Potomac River and river bass fishing in the Mid Atlantic generally as much worse than it used to be and, partly, attributes this to rivers being “too clean” today. He’s also skeptical of many biologists who feel that bass populations are excellent and the rivers are healthy today, feeling that many of these biologists lack perspective and are not from this part of the country. Personally, I found these contentions among the few fishing related opinions expounded by Lefty with which I’m personally skeptical. Perhaps if I’d known what the Potomac was like 50 years ago, I’d have a different opinion, but alas, we’re all prisoners of our own perspective and times. 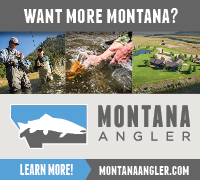 On the subject of writing and, generally, the business side of the sport of fly fishing, Lefty offers some interesting perspectives. 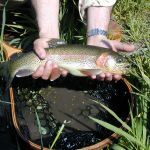 He feels that “fly fishers are the only anglers who habitually buy books” and argues that there are probably more books about fly fishing than any other outdoor topic. However, Lefty feels that avid fishermen don’t have much money and this has put a crimp in the willingness of corporate sponsors to get behind TV shows and such and, due in part to this, sport fishing is fading in America. 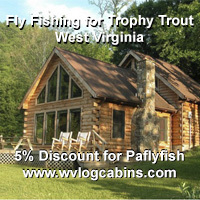 The angling TV shows today focus mostly on bass fishing, and trout or salt water fly fishing shows aren’t thriving. He also doesn’t care much for the new fly fishing tournament scene writing, “Most real fly fishermen are resisting this influence” and frequently points out that fly fishing is (or should be) a non competitive endeavor. One topic I’d hoped Lefty would touch on is the rise of fly fishing blogs and the future of fly fishing print media but, other than this, his perspective on the sport is vast and he has fished with most everyone that is famous in our sport in the last half century and this book is replete with descriptions of these folks as well as all sorts of wisdom about all the famous game fishes we chase (or hope someday to chase). Lefty closes the book with, “That’s life. That’s fishing. I’ve loved them both.” A more fitting and essential philosophy could not be articulated for a guy whose life really was this big. I had a chance to meet Lefty at Bass Pro in Maryland a couple of years ago- he was doing a book signing and my buddy and I got there early by chance - we didn't know he was going to be there. Nobody else in the fly shop, and we had one on one time with him for about 20 minutes. He showed us how to tie knots, told fishing stories, and just bs'd with us until it got a little busier. Just a down to earth, approachable guy. Unfortunately he is a sell out to Donny Beaver. A real legacy would have turned him down and shut down the club as un American. Till then he is in the free lunch club of the homewater club. To me he is a sell out. I know Lefty is a legend and I could only hope to cast half as well as he does, but I did not enjoy his book which I read several years ago.